That last part can really add to your energy bills, especially if you keep the heating switched on around the clock, you’re not an expert at setting the thermostat, or you find yourself particularly susceptible to feeling the cold. 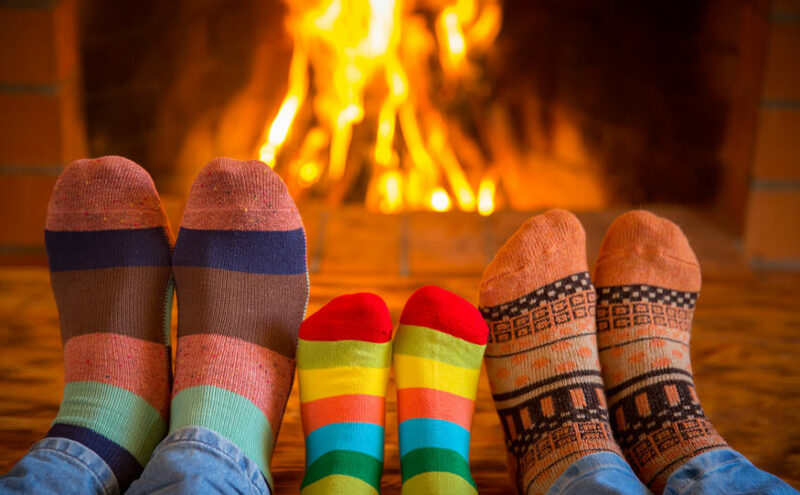 Here are some ways in which you can tackle heating bills and hopefully keep them a bit lower this winter – and we’ve tried to steer clear of the usual suggestions like putting on a jumper and slippers, to touch on some you might not hear quite so often. Eat more. It’s not often that eating more is recommended, but if you’re trying to keep warm, having some food inside you – even cold food – can be helpful, as digesting it will naturally warm you up from the inside out. Hot food will have an extra immediate effect thanks to its own heat, and a hot drink can help in a pinch too. Cooking will naturally warm up the kitchen, which is often the coldest room in the house, so preparing a meal should help to take the edge off of the chill in here. This is especially useful around tea time, as you can cook your evening meal just as it’s getting dark – and therefore, just as it’s getting colder. Tackle humidity as well as temperature. Quite often a room can be warm enough but still feel uncomfortable because the heating has dried it out or the wet weather outside has brought in excessively humid air. You can get small analogue and digital weather stations that read humidity, and should aim to keep your air above 40% humidity but below a maximum of about 70%. If you just want one room to be warmer, it’s not worth spending on central heating for the entire house. Keep the doors, windows and curtains closed in the relevant room, and either turn off the radiators in other rooms, or use a freestanding space heater rather than the central heating, so you’re not heating rooms you’re not using. If you’re heating the whole house, keep the doors open. The air will have more chance to circulate and you’ll avoid overheating a closed room while the thermostat is elsewhere in the house. Remember to check there are no open windows elsewhere – unless you’re driving out some excess humidity – or your heat will quickly escape. For a more ambitious way to keep rooms warmer with less central heating usage, all of the usual home improvements still apply. Double glazing to prevent heat loss through the windows, insulation to keep heat in at the walls and ceilings, and warm floor coverings from fluffy area rugs, to wall-to-wall carpets with insulated underlay. Any of these should keep rooms feeling warmer for longer, so you can knock an extra degree off of your thermostat, or an extra hour off of your heating timer, and watch those savings clock up day after day over the course of the whole winter.